The Constitution is important because it established the fundamental laws and principles that govern the United States of America, and outlined the individual liberties guaranteed to its citizens. The Constitution places the government’s power in the hands of its citizens, noting which matters are to be decided by the federal government and which matters are left to the states to decide. It limits the power of the government by establishing a system of checks and balances. The first ten amendments to the Constitution, known as the Bill of Rights, and subsequent amendments are the individual freedoms granted to each American. The Constitution was written during the Philadelphia Convention, which took place from May 25, 1787 to September 17, 1787. The Constitution was signed on September 17, 1787 in the Assembly Room of the Pennsylvania State House. It did not go into effect until June 21, 1788 when nine states ratified it. James Madison is often referred to as the Father of the Constitution because many of his philosophies are reflected in the document. Other prominent figures in the Constitution's drafting include Benjamin Franklin, George Washington, and Alexander Hamilton. Since its original writing, many of the initial ideas have been amended, but the purpose of the Constitution remains the same. It still stands as the law of the land in the United States and is still debated in the court system. 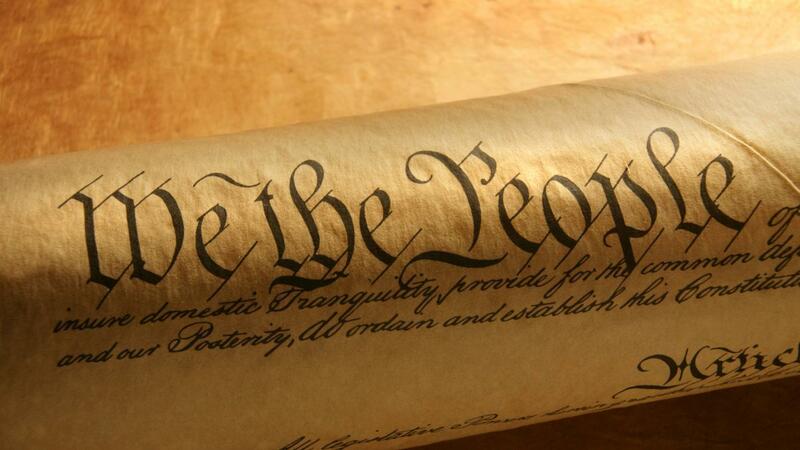 September 17th is now observed as Constitution Day, commemorating this historic event. The original Constitution is located at the National Archives in Washington, D.C.
What Is the Difference Between Civil Rights and Civil Liberties? What Is the 12th Amendment to the U.S. Constitution? What Are Some Examples of the Supremacy Clause? How Do Laws Affect Society? Where Do Ideas for New Laws Come From?